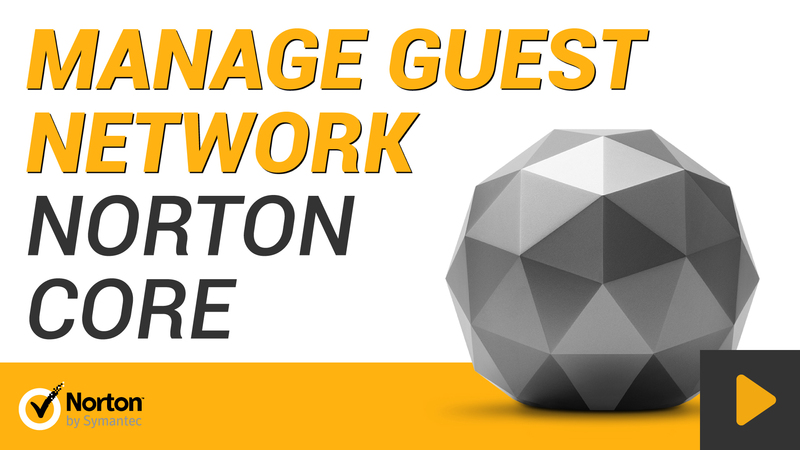 Norton Core lets you create a separate wireless network for your guests. Devices connected to the guest network cannot access devices on your private network. In addition, a device in your guest network cannot communicate with another device in that network. You can add up to 254 devices to your guest network. To share your guest network, just give your guests the guest network name (SSID) and password. In the Guest Network screen, tap Enable. Update the network name and password for your guest network. Norton Core automatically generates the guest network name and password. It adds _Guest to the end of your current protected network name. If you want Norton Core to notify you each time a user joins your guest network, enable Allow or block devices attempting to join the guest network. Tap Time Remaining and select the duration of your guest network. If you choose 24 Hours, 7 Days, or 30 Days, Norton Core alerts you five minutes before the session expires with an option to extend it. To share your guest network name and password using text message or email, tap Share Guest Network.